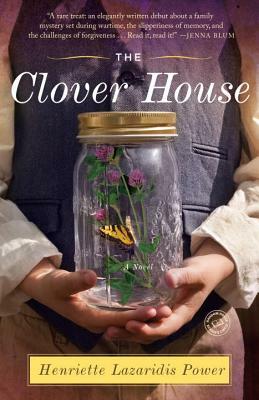 THE CLOVER HOUSE by Henriette Lazaridis Power is a captivating tale of family secrets and stories to be told by the things we save. It is about love and the choices we make. Calliope (Callie) Notaris Brown is living in Boston with her fiancé when she is called to Patras, Greece after the death of her dear uncle Nestor, her mother’s brother. She is told she has inherited her uncle’s belongings, including all of his strange collections. While trying to make sense of the photos, mementos, and family accounts of their life in Patras during World War II and the occupation by the Italians and Germans, Callie unearths the secrets kept by her mother and her siblings. Callie’s perceptions about her own heart and about her mother are different from what she believed them to be. Callie was a remarkably complex character who went from a decidedly ordinary life, doing what was expected of her, to taking up with a group of wild young people from Patras and taking risks to discover why her mother and she were always at odds with one another, and why her aunts, her mother’s own sisters, distanced themselves from Callie’s mother. THE CLOVER HOUSE was mesmerizing. A beautifully written debut, this could be one of the best books of 2013. Great review of interesting sounding book! Cindy, it was a fabulous book. Thank you. The Clove House was such a fantastic book. I hope you enjoy it. No, no counseling needed. Have a mason jar addiction myself. Hope you enjoy the book.